As the prospect of the last weekend before Christmas looms take comfort in not having to wrack your brains, trying to think what to buy other people, at least for these few brief minutes. Instead sit back, relax - maybe even grab a mulled beverage - and enjoy yet another easy peasy, lemon squeezy chance to win something for yourself in our latest Christmas Countdown Competition. 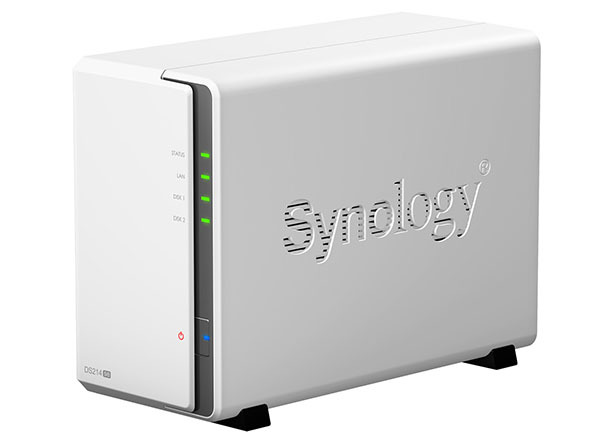 Today Synology has provided a prize in the shape of a two-bay NAS drive, the Synology DS214se. Able to accommodate two 3.5in or 2.5 hard drives - or SSDs if you fancy - the DS214se packs in a gigabit Ethernet interface two USB 2.0 ports for adding extra storage and it boasts transfer speeds up to 102MB/s read and 58MB/s write. It also supports a host of apps and services, including DLNA media streaming, bit torrent downloads, QuickConnect and EZ-Internet for remotely accessing your files from anywhere round the world and much more besides. What speed processor does the Synology Ds214se use? Simply email your answers to competition@bit-tech.net, putting "Christmas competition 15" as the subject/title. · Emails must be received by midday (GMT) 23rd December 2013 to qualify. It's the last day of our Christmas Countdown competition so get your entries in. Checkout what the Bit-Tech team wants to find under their Christmas trees.